A SURPRISE ANNOUNCEMENT FROM MERSAL TEAM IS HERE! Lyric videos of three songs from Mersal have already been out, and just one song's lyric video was left to be released. Now, the official announcement about the same has come. Sony Music India, who have the audio rights of Mersal, tweeted, "#MaachoLyricVideo will be out today at 6:00pm! RT & get ready to sing along with @sidsriram & @_ShwetaMohan_". Get ready to witness the lyric video of the Macho song in the next few minutes. You'd also get to see some brand new stills featuring Vijay and Kajal Aggarwal. It looks like it is going to be a week of good news for Vijay fans. The teaser release date of Mersal can be announced anytime soon. Meanwhile, 'Aalapooran Thamizhan' track has clocked 10 million YouTube views in less than a month's time. 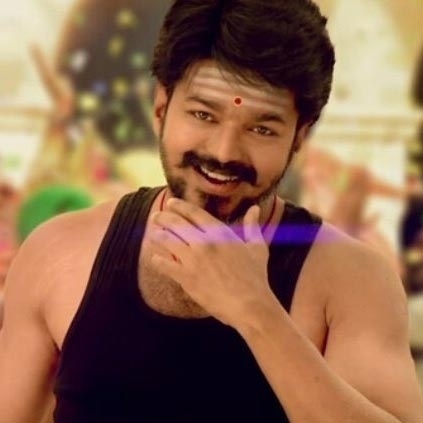 With the other tracks from the album also making a mark for itself, Mersal is likely to keep the YouTube space buzzing at least till the film's release. Atharvaa’s gesture for this heroine and her Seruppu movie! South Indian Restaurant Chain Godavari is now in Kansas City! Vijay's Magical Stunts In Mersal | All About Vijay's Abracadabra! Mersal - Vijay's Farmer Role Revealed! | Mass Jallikattu Scene In Mersal? People looking for online information on A.R.Rahman, Mersal, Vijay will find this news story useful.